One of the most disagreed upon and misunderstood topics in the world of dog training is the topic of correction. There is a wide spectrum of dog training philosophies, with exclusively positive reinforcement training at one end, and harsh, forceful methods at the other. As with most topics of debate, any party at an extreme end is lacking a balanced perspective. As a result, both extremes do not produce consistent, sustainable or widespread desirable results, because they are fundamentally incomplete. 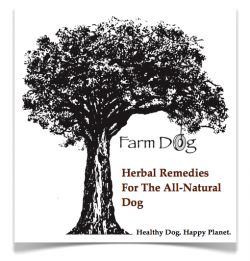 To answer the question: “What is the most effective, natural way to train a dog?” We can simply, ask the dogs. How do dogs reward and correct? How does a dog pack maintain harmony and balance among its members? How do dogs experience leadership and dominance? The fact is: dogs correct each other…daily. Corrections, themselves, are not abusive or “mean”, they are a healthy and necessary part of communication that accomplishes a crucial element in any relationship: boundaries! The idea that any form of correction is wrong and abusive is not respecting dogs as the animals they are. Ask anyone who works in human mental health: Boundaries are healthy! In fact, boundaries are necessary. Try raising a human child without ever communicating to that child, “don’t do that” or “wrong choice”, or “pay attention”. The general result: a child who is out of control, disrespectful, possibly violent, and upset. The same is true for dogs. On the other side of the spectrum: motivating dogs to comply out of fear and blind submission is not desirable, effective, or morally acceptable. A person who is unfairly and excessively harsh is also a poor leader and should not be in a position to teach anything. The most effective and ethical way to communicate with a dog is balanced, and lines up with how dogs communicate with each other, naturally. The easiest language for any animal to understand is their native language. For dogs, that includes a balance of appropriate, authentic, and timely praise; as well as consistent and fair correction – all occurring with a foundation of leadership, love and mutual respect. Dogs vary individually, just like people. Every human-dog combination is unique and has different needs and preferences. A good trainer should be able to adjust to the dog, rather than force every dog to fit into one method or style of training. Listening is the most important part of communication. If someone is unwilling to be flexible, and is attached to, or defensive about, their one style; they cannot possibly be a good listener. A good teacher is a good listener. Working with a dog requires constant self-evaluation. 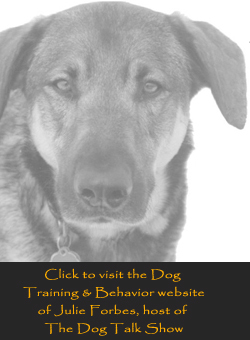 If a dog is not understanding an expectation after several repetitions, a trainer must ask herself: “What am I doing that is not working?” or “What is missing from this equation?” An effective trainer will quickly recognize how they need to adjust for each individual dog-human team to learn with minimal stress and maximum success. Dogs (and people) need to be clear about what is expected of them and then have their environment respond consistently to the established expectations. There are times when our pets need us to be firm, but never without the presence of love and compassion. Respect is a two-way street…no exceptions.